The beginning of World War I in the year 1914, German shepherd serve the German military with their complete companionship. They are not only the dogs who served the nation but also performed numerous tasks in the battlefield to help German military in the World War I. these dogs served the nation as projectiles for weaponry carrier, messengers and the sentinel guard. They have the capability to help the soldiers on the battlefield by aiding their wounded and other medical facilities. They took off the soldiers from the battlefield to provide them proper medical attention and safety. And with their specification of first Seeing Eye dog, a new breed of dogs is developed. This breed of German shepherd dogs is still serving the German military. 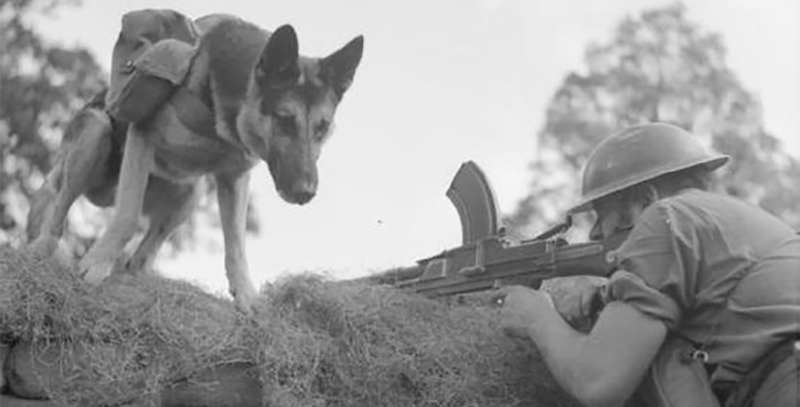 Initially, soldiers have the conflict for using the dogs in the battlefield but later soldiers of both sides are impressed with the work of German shepherd. Under some stressful, dangerous and severe conditions, German shepherd performs many heroic acts in World War II. These soldiers are so impressed with their performance that after the ending of World War II, both the German and English soldiers started to develop their own personnel of German shepherd dogs which can be used in the military. Many European nations such as Russia, Sweden, Italy, Albania, Belgian and more started dogs military training so that these dogs can help in the war. In the starting of World War I, Germany have almost 20,000 trained German shepherds and Doberman pinscher with many English dogs like Airedales, Collies, and sheepdogs. The French and English military started many dog training schools.